ANXIETY is useful in moderation. 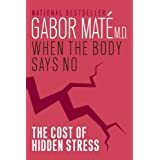 Stress spurs us on, keeps us alert, encourages us to organize. It helps us in a crisis. But excessive anxiety can take over our minds. It may be in response to an overwhelming situation which passes.Unfortunately it also may become a mental habit. Anxiety can dominate our mood when we want to focus on other things or to enjoy life. It can convince us that life is dangerous, that one slip will lead to disaster. It can spiral us into panic attacks, lead to compulsive behavior and mental obsessions. 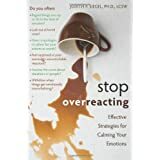 Excessive anxiety can stem from our own overly high expectations. Sometimes we will fail to meet these expectations. That is inevitable. The positive result would be to evaluate the cause and try again with better tools. The negative result could be self blame and depression. 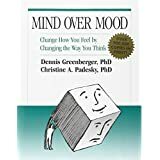 There are many ways to address habitual anxiety because there are so many different ways people perceive their world and analyze it. Each person has his own history, habits, and viewpoints. Each person has certain prejudices and habitual reactions which he may not recognize. To gain a more balanced view we first need to look at ourselves and our assumptions. Then we need time, patience and repeated self-talk and self-awareness to alter our habitual viewpoints. 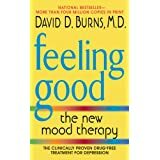 The best known therapy for anxiety reduction is Cognitive Behavioral Therapy (CBT). The idea is that mind, body and emotions are all connected in the brain. Change one, and you effect the others. CBT has various offshoots, variations and augmentations. Medication is a possibility. A physician is needed to prescribe. Some types of anxiety require more specialized approaches. Post Traumatic Stress Disorder is one. PTSD results from severely hurtful experiences. Afterwards the victim lives in fear, expects danger to lurk around every corner. Flashbacks and dreams can bring the danger back as large as life. PTSD victims avoid talking about their experience because the memories bring back the pain. Yet talking with a safe person can gradually defang those memories. 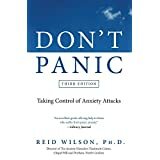 Don’t Panic, by Reid Wilson, Ph.D.